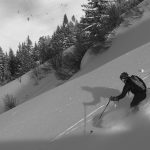 Your initial enquiry, discussion of the best programme for you, course admin and ongoing support will be with IFMGA Guide, Rob Jarvis. 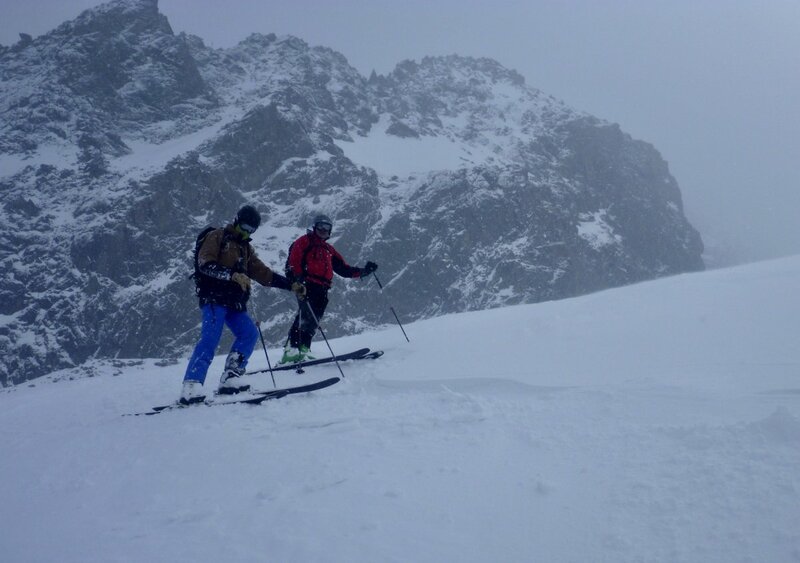 So you know who you’re dealing with, and you are dealing with a Guide who can give you a useful, prompt & constructive answer based on years of hard won experience in the mountains! 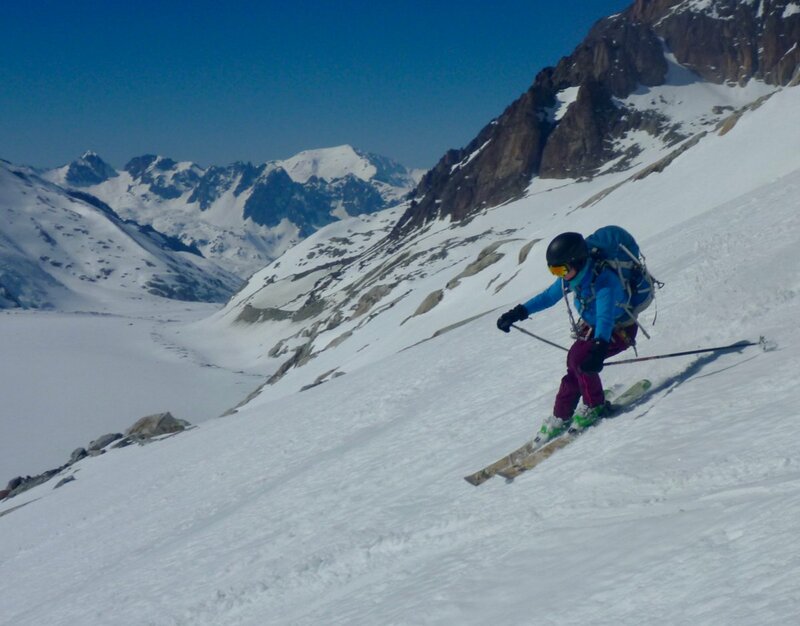 We have a superb team of IFMGA Mountain Guides & UK Mountaineering Instructors with a wealth of experience, technical ability and enthusiasm to draw on; ensuring you get a challenging, educational and inspiring trip as well as friendly & sociable time in the mountains. 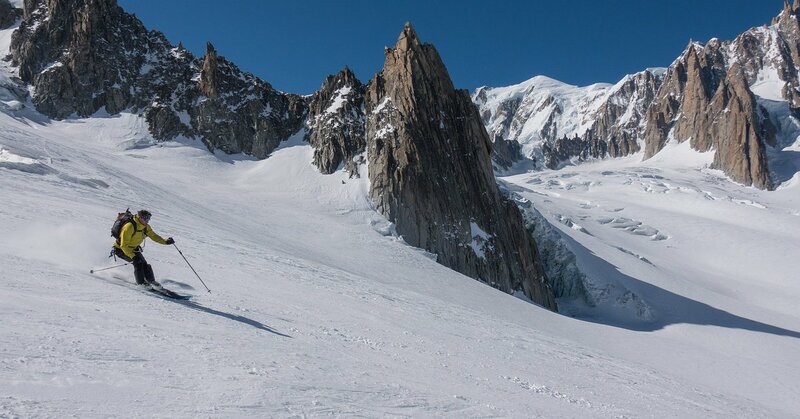 We are incredibly proud of the massive range of amazing experiences we have given our guests in the mountains. 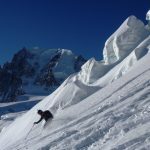 Please visit our course guest book to see the quotes from our past clients and what they have said about their experiences in the mountains with us. Hi Rob what can I say, it has been truly amazing. Jon has been fantastic. It has been an absolute pleasure dealing with you and your guides. Having met a few, they are really a cut above. 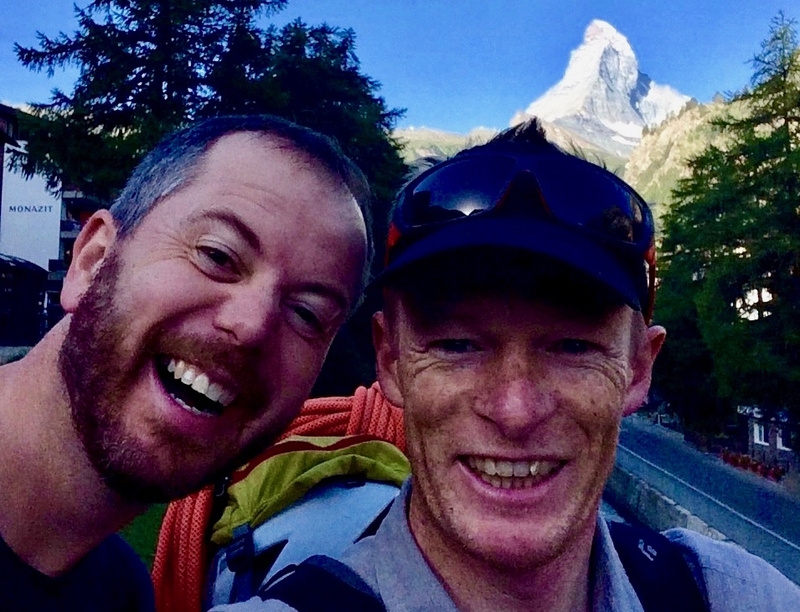 Matt, Mike & The Matterhorn! Back In Zermatt After A Successful Ascent. 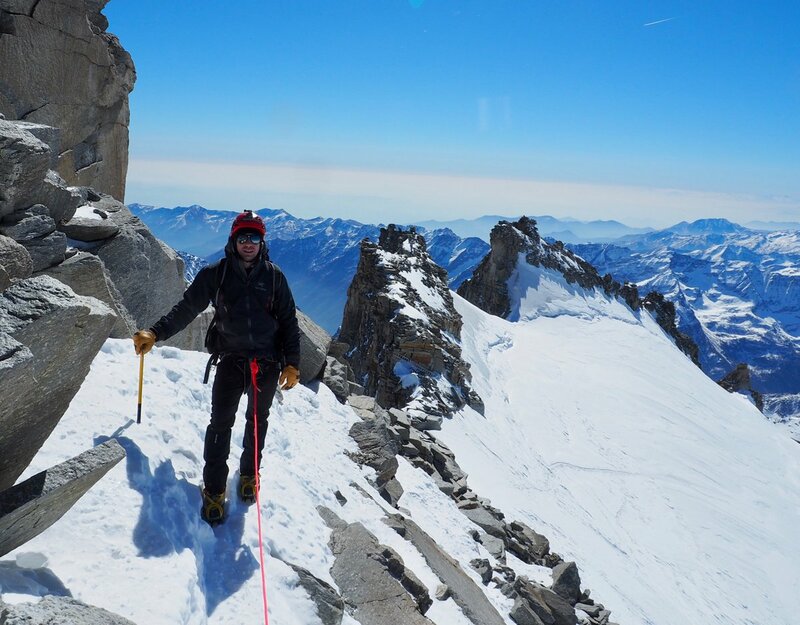 A Brilliant Progression For Matt From Mont Blanc The Previous Year, Thanks To His Good Training. 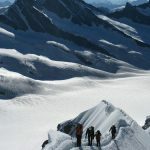 Our meticulous attention to detail in the planning stage; on-going pre-course client support and the extensive experience of the Guides in the mountains all mean we have a fine track record of enabling clients to climb the peaks they aspire too. 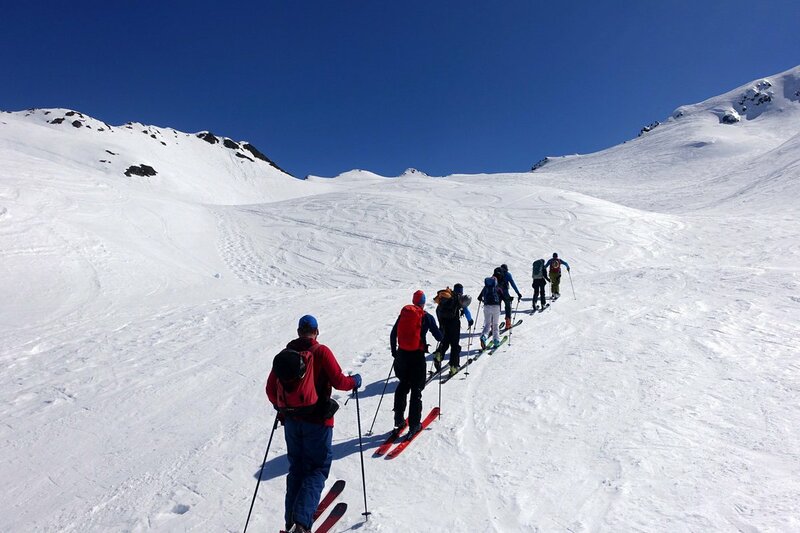 Clearly there are many times in the mountains when the weather & conditions make the Plan A impractical and, on these occasions, we are also proud of the inspiring alternative experiences we provide our guests with. 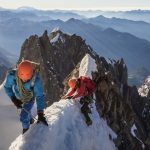 Whilst we have a strong commitment to giving you an enjoyable, adventurous, challenging and informative time in the mountains, we understand that safety is the number 1 priority. Helping you achieve your aims is very important to us but equally we understand that ultimately, we are not climbing for world peace. Thus we exercise great care and judgement in not exposing you to, what we consider to be, excessive or unnecessary objective hazards. 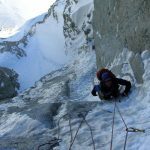 Perhaps the most common example of this is not climbing Mont Blanc when there is a high stonefall risk in the Grand Couloir. 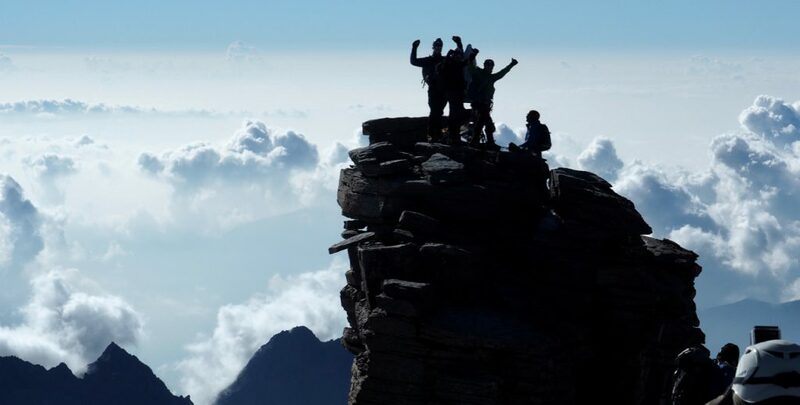 If you’re motto is ‘Death or Glory’, or ‘The Summit At All Costs…Then we are not the guiding company for you! 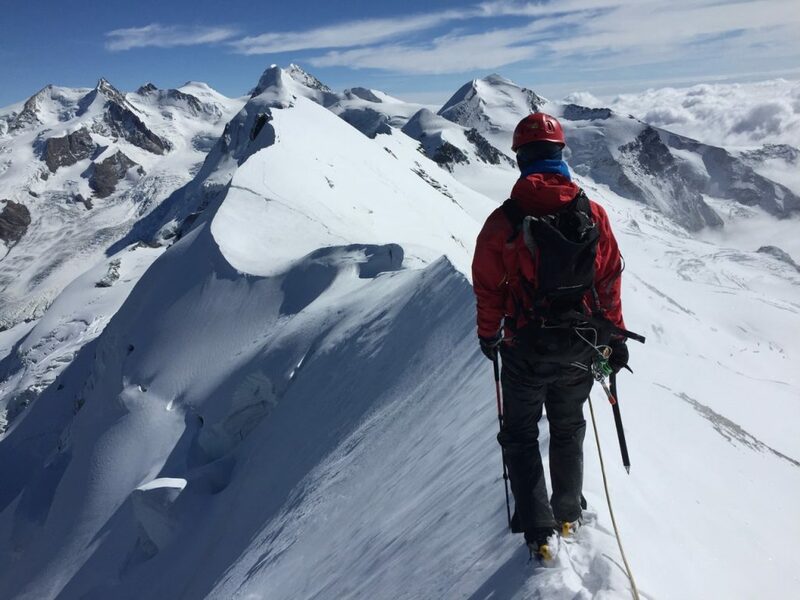 Richard heading East along the fine narrow summit ridge of The Breithorn with the Monte Rosa Massif beyond. 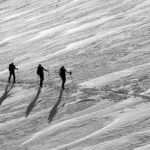 Folk get the most out of their time in the mountains when they don’t have to compromise their aims and aspirations to fit in with other course members. 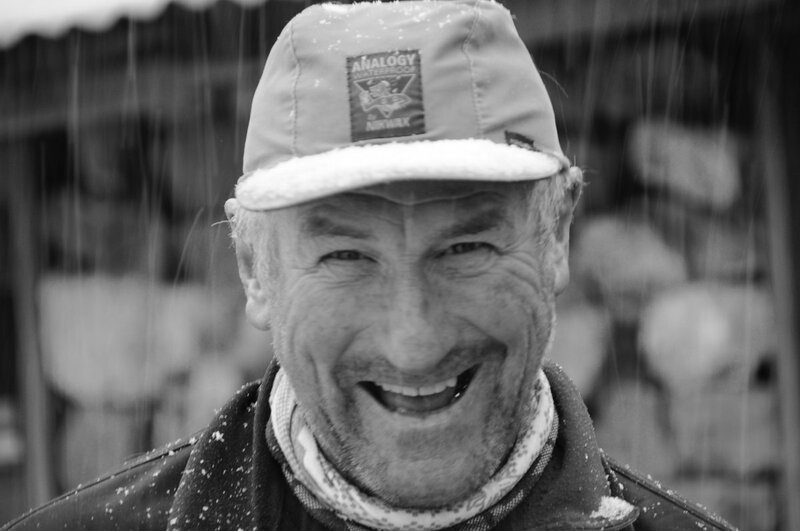 Rob and the other members of the guiding team have a great track record of balancing people’s experience and ability with their aspirations then coming up with suitably challenging & fun objectives according to the prevailing weather and conditions at the time. 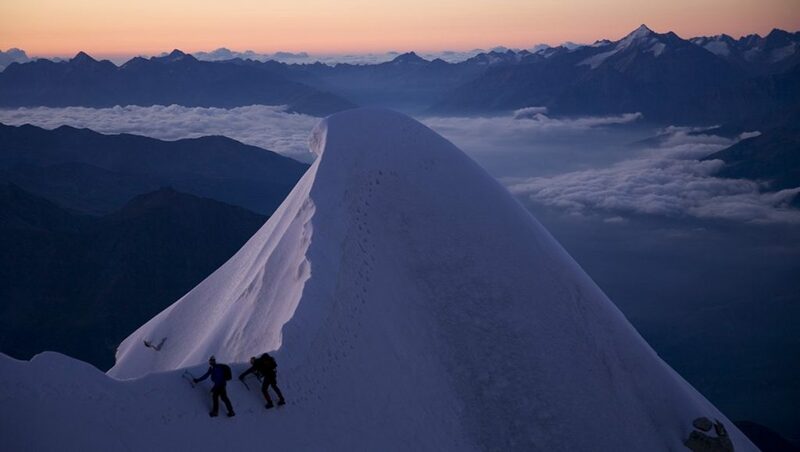 Private Guiding On The Frontier Ridge On The French Italian Border In The Mont Blanc Massif. 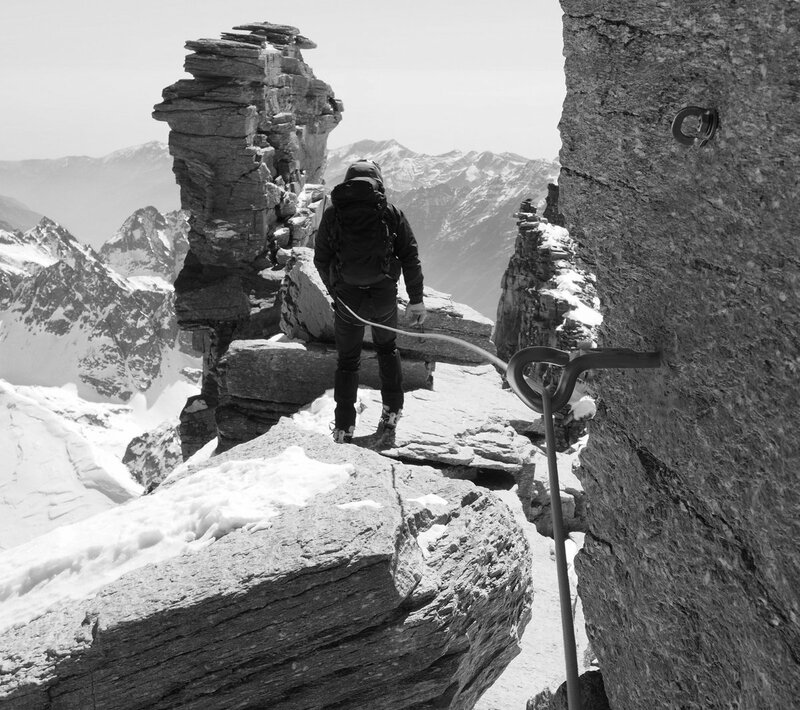 The Grivola Is The Peak Above Val d’Aosta Beyond. 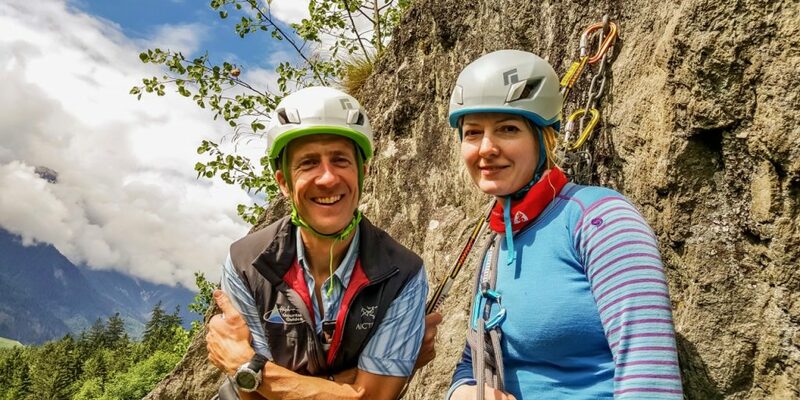 Our open group courses are very popular and receive excellent feedback thanks to their well crafted itineraries, appropriate pre-requirements and attention to detail in the planning & preparation phase. 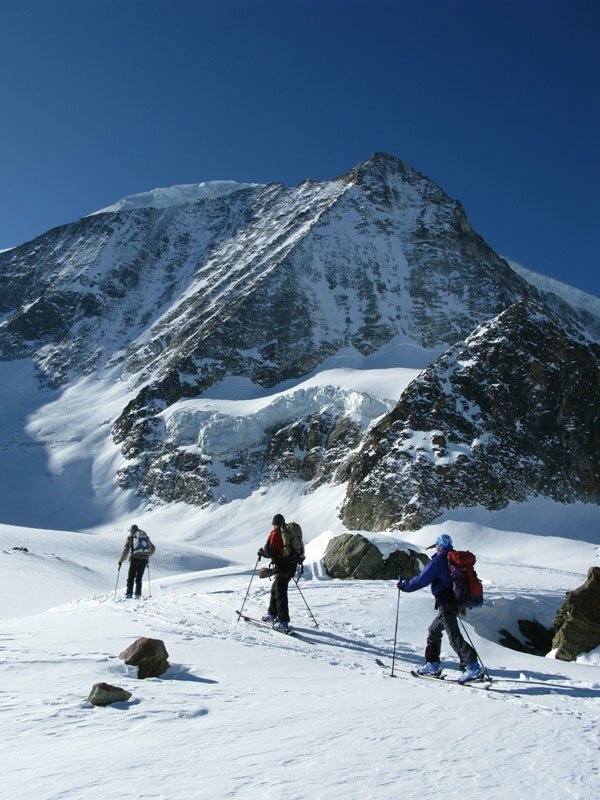 Our series of courses also form an excellent progression to structure your mountaineering apprenticeship. 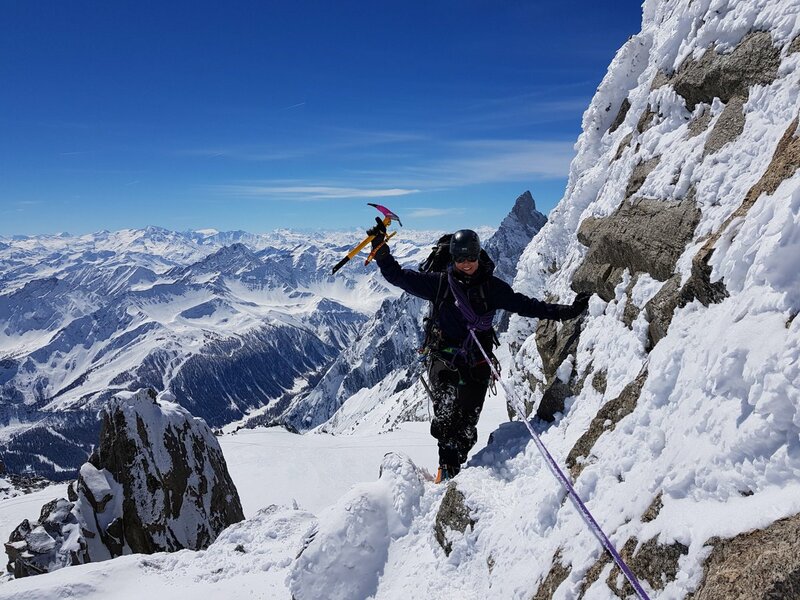 So whether you are a complete novice; have already climbed Mont Blanc & want to climb the Matterhorn, become a more self-reliant alpinist; or want to tackle some big Chamonix alpine routes; we have the course for you. Also, crucially for your holiday planning, our courses are guaranteed to run, as soon as you book your place, even if you are the first (and only!) person to book. 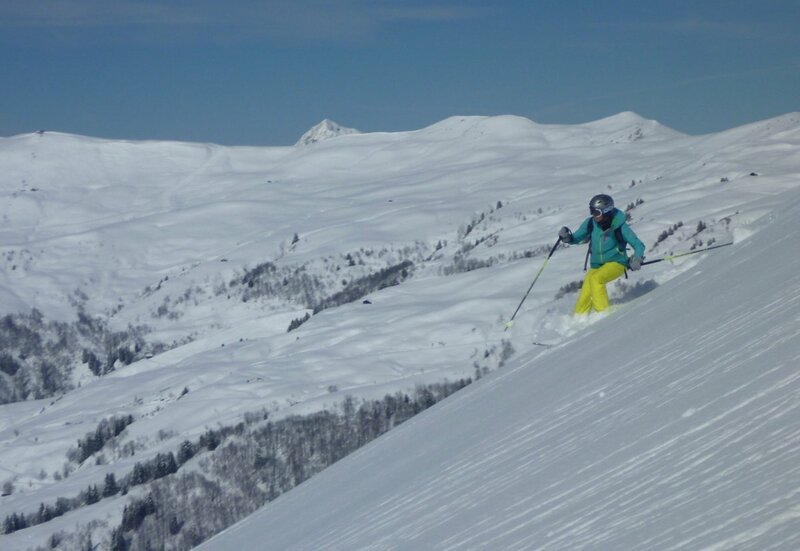 There is no minimum number and once you have booked your place you can proceed with arranging flights and hotels safe in the knowledge that we are committed to running your programme – even if you end up with private guiding and we make a big loss on the course. This is rare however as many guests gravitate to our high quality and reliable course structure. 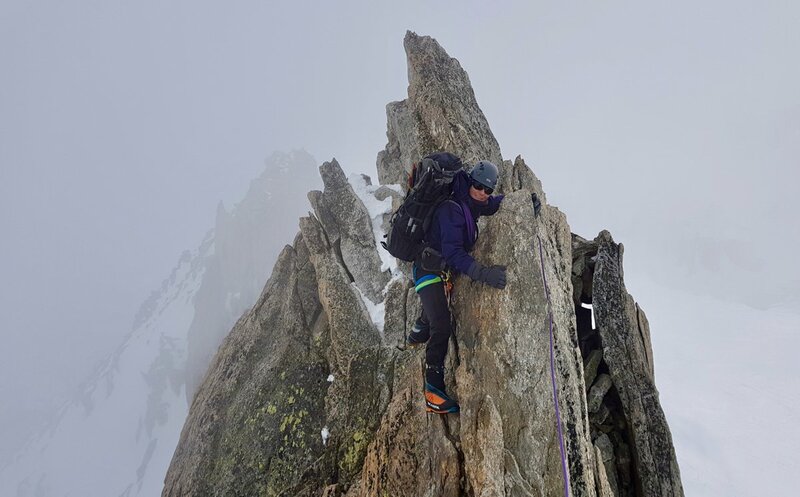 Safe and efficient techniques are instructed in a clear and practical way that will stand you in good stead throughout your mountaineering career, wherever that may take you. 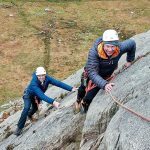 We prefer to emphasise teaching our guests skills they are going to use all the time rather than emergency procedures they will hopefully never need. 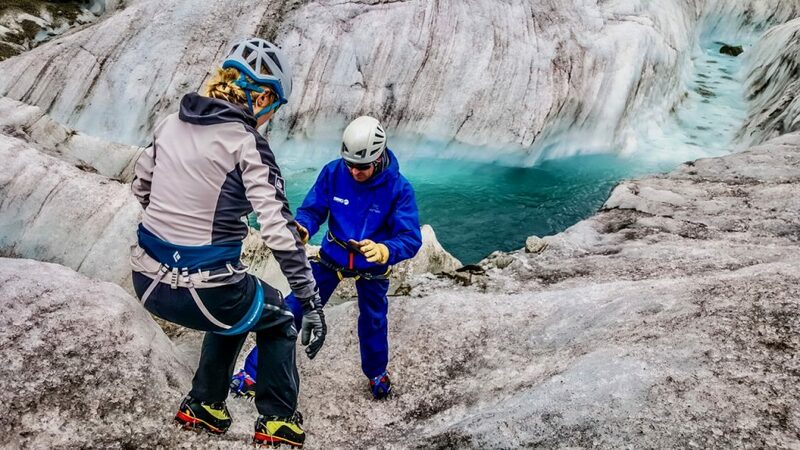 Whilst clearly it is necessary to have a good understanding of emergency procedures, it’s more important, for example, to practise movement skills in the mountains; glacier travel skills rather than just crevasse rescue and route planning & terrain choice rather than just avalanche emergency procedures. Camp or stay in a 5* Hotel? 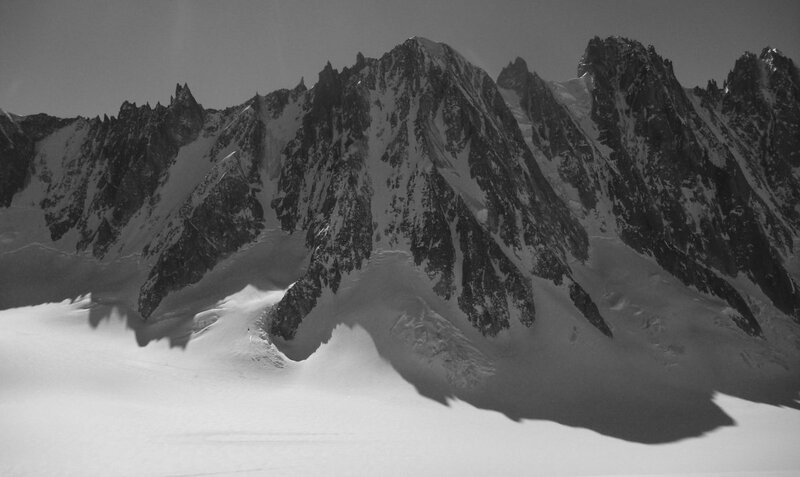 Do lots of long walks from the car or use the high alpine lifts of the Mont Blanc Range? 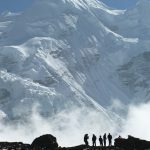 Stay in high mountain huts or make a bivi. The choice is yours. 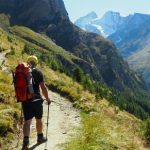 Our courses emphasise quality guiding and leave you to make your own choices about accommodation and thus budget. We can also structure your course according to the emphasis you choose with regard to physical or economic savings! We take no commission on anything other than guiding. Course expenses are paid by you at cost price direct at the time so you won’t be missing out if you don’t maximise your all inclusive programme. 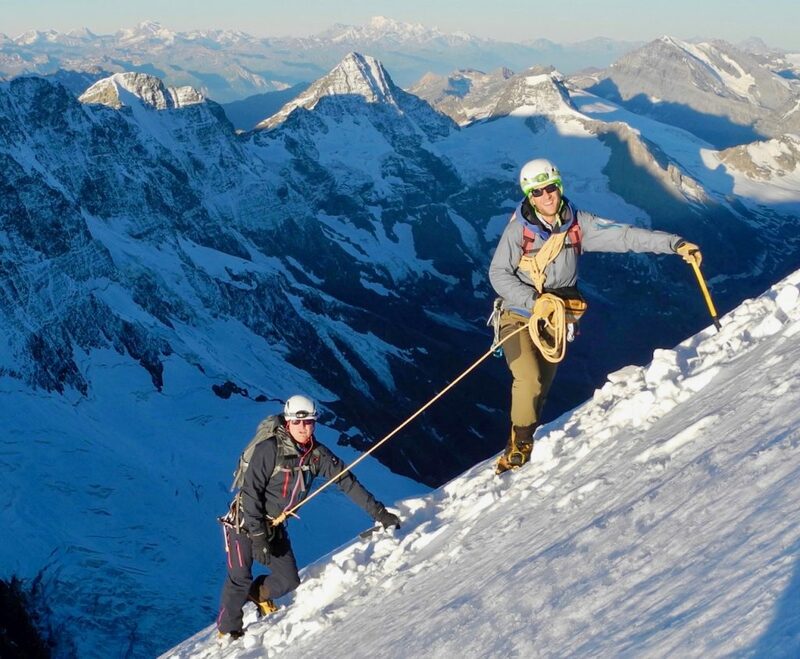 Matterhorn Training In Zermatt Before Climbing The Rimpfischorn…And The Matterhorn! 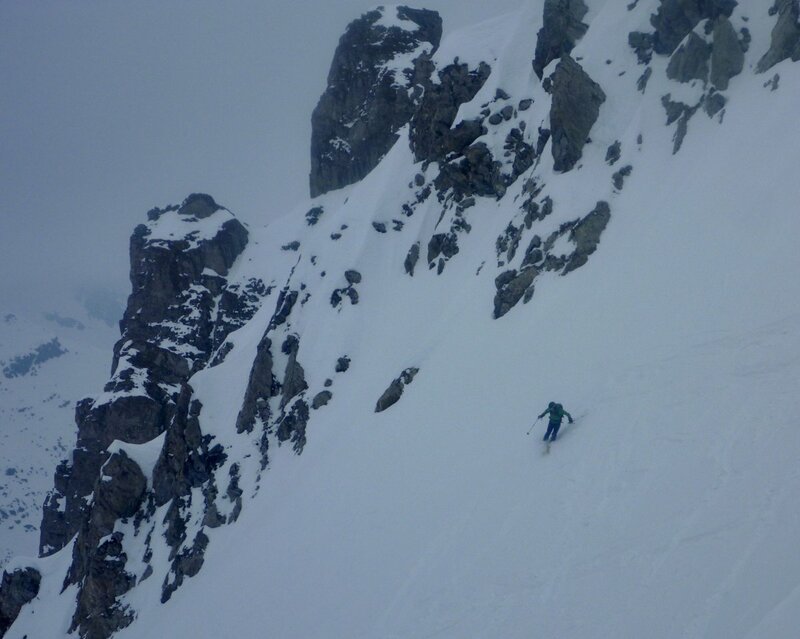 Rob & many of our guides love taking photos in the mountains and we are happy to share them with you after your trip. 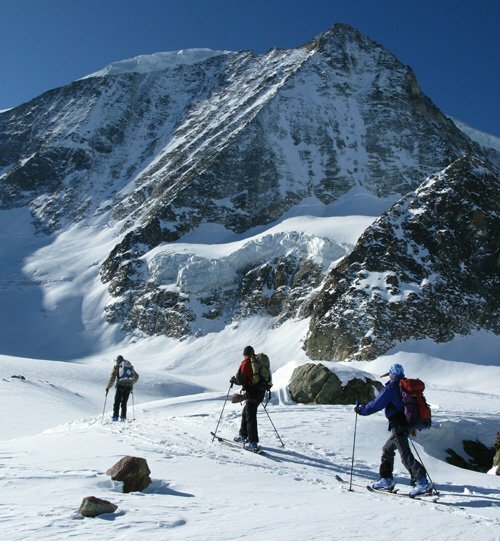 This can add a superb dimension to remembering a brilliant trip in to the mountains. 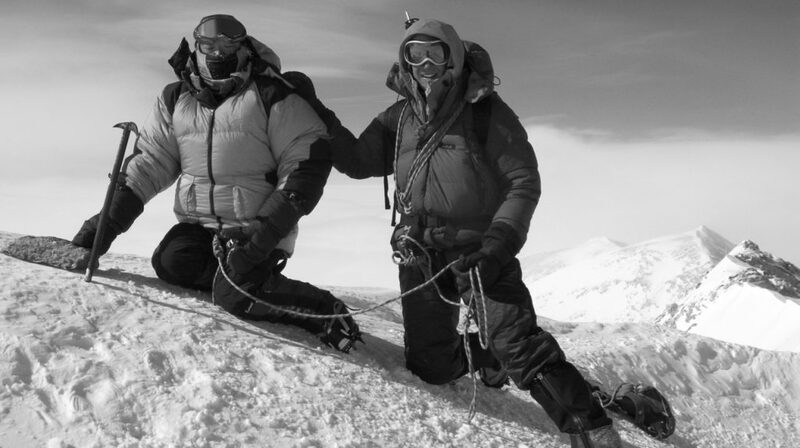 We can also lend you the odd item of kit if you are short of a warm jacket, pair of gloves etc. 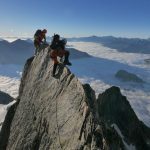 and provide all our guests with a smart ‘Wipe Out’ goggles / sunglasses cloth with details of alpine mountain rescue numbers and how to proceed in the event of an accident in the mountains.